BALASHIKHA (Russia) (Sputnik) - At an annual expanded Russian Defense Ministry Board meeting, President Vladimir Putin thanked Russian armed forces and spoke about Moscow's campaign in Syria, Russian army and the development of nuclear triad. 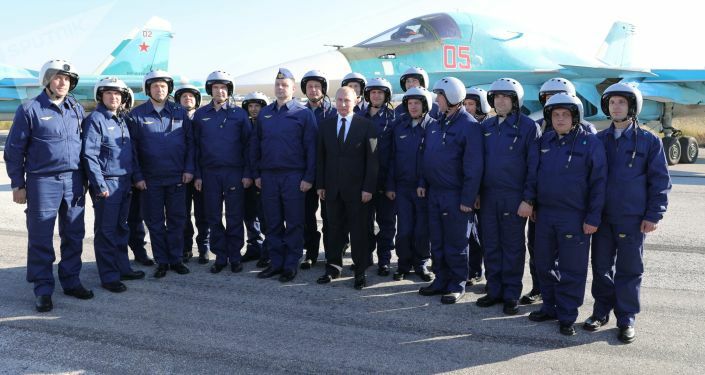 The Russian military has made a major contribution to the defeat of terrorists in Syria, according to Putin. "In the fight with the global threat of international terrorism Russian servicemen acted courageously, professionaly and efficiently. 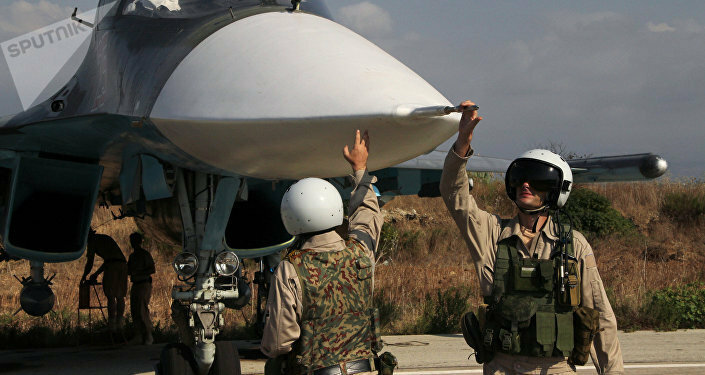 They showed increased modern capabilities of Russian armed forces," the president pointed out. Putin praised the success of the Russian campaign in Syria, noting that Russian servicemen have saved hundreds of thousands of lives, preserved country's statehood and paved the way for political resolution. According to the president, the situation in Syria and around the world as a whole confirms "the correctness and timeliness of strengthening the Russian army and navy." The Russian president also stressed the necessity to continue further consistently working on the development of Russia's armed forces, adding that currently "the world is experiencing a true revolution in economy, technologies, knowledge." The president added that these "profound transformations" would necessarily influence the armed forces of the major world powers. In this regard Putin noted that the share of modern weapons in Russia's Army and Navy has increased by 44 percentage points since 2012, up to 60 percent. Speaking about Russia's nuclear triad the president pointed out that "the country's nuclear forces are on a level which ensures reliable strategic deterrence, however, we [Russia] need to keep developing them." In conclusion, Vladimir Putin stressed the necessity of "carefully monitoring the change of balance of forces and military and political situation in the world, primarily near Russian borders, and in regions which are strategically important for our security, which include the Middle East, the Korean peninsula … and of course Europe."